Lori has been working at the Macedonia Family Recreation Center since 2010. She resides in Sagamore Hills with her husband and two children. In her time as a swim lesson instructor, Lori has helped to improve the swim lesson program and build a strong base of participants. Over the past few years she has had increased involvement with our swim clinics and our Manta Rays swim team and was recently named Head Swim Coach. Lori’s hard work and passion for swimming helped her hit the ground running, and this past month, in her first season as coach she led the team to the league championship! 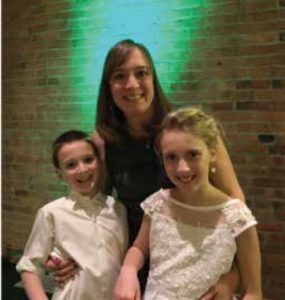 In her spare time, Lori loves to spend time with her family outdoors while skiing, hiking, bike riding and playing sports with her kids in the yard. She also enjoys gardening and baking, and one of her favorite hobbies to do in the spring and summer is helping to save monarch butterflies. Along with her children, they plant and grow milkweed, harvest monarch eggs, provide a safe environment for them to grow and then release the butterflies after they emerge from their chrysalis!